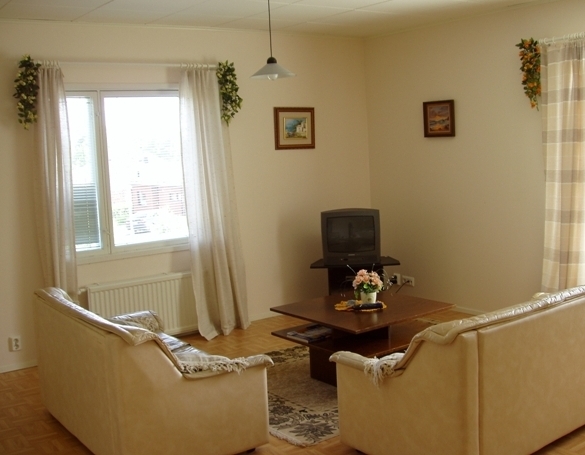 The apartment is conveniently located in peaceful location in Niinivaara area. 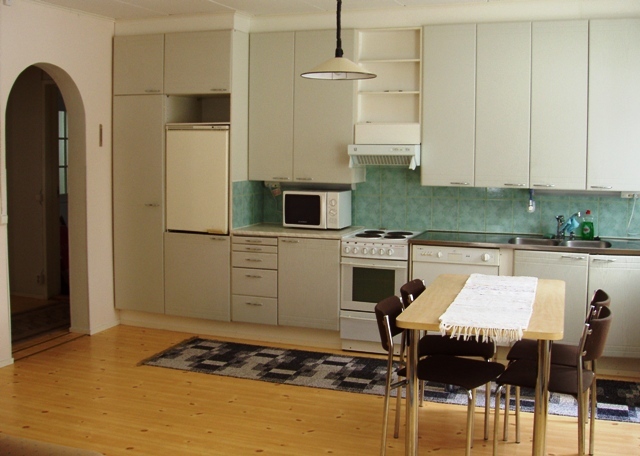 Only a few minute walk to the shopping center and 2 km to the city center of Joensuu. 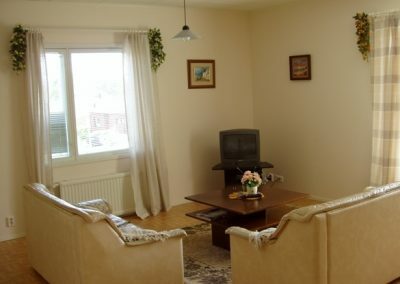 The kitchen includes a fridge-freezer, dishwasher, stove, microwave oven, coffee maker, kettle and dishes for four person. Sauna department and washing machine. Private car park in the yard and a bus stop nearby. 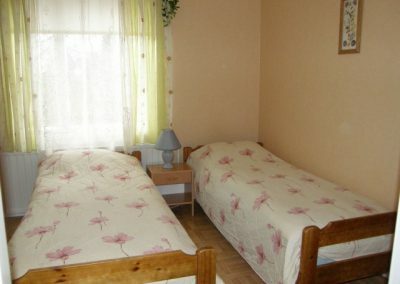 Price 350 €/week + a fee of 40€/week for bed linen, towels and cleaning.